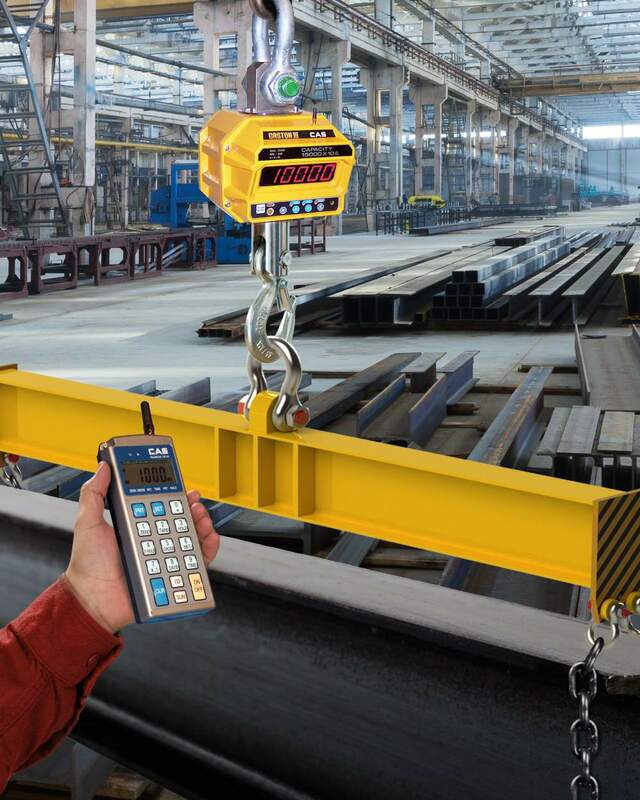 A wireless Bluetooth crane scale that is ideal for weighing I-Beams prior to shipment, as well as other construction materials, with optimum operator safety is available from Alliance Scale, Inc. of Canton, Massachusetts. The Alliance/CAS Caston-III BT Crane Scale features a bright, 4-digit LED 1.5” display and provides manual or automatic on, off, zero, tare and hold functions, auto span adjustment, and auto zero tracking. Ideal for weighing I-Beams and other large loads, this scale transmits the weight directly to a Bluetooth remote control and lets operators stand up to 350 ft. away. Available in capacities from 10,000 x 5 lbs. up to 100,000 x 20 lbs., the Alliance/CAS Caston-III BT Crane Scale provides an ultimate 300% overload factor. Housed in an environmentally sealed NEMA 4 IP65 alodined cast aluminum housing, it includes a rechargeable battery pack and a spare battery pack and charger to keep operations moving. The Alliance/CAS Caston-III BT Crane Scale is priced from $4,795.00 (list), depending upon capacity. Price quotations are available upon request.